The 5th Confederate Infantry were a unit formed mainly from the Irish of Memphis. They were created in May 1862 as a result of the consolidation of the 2nd (Knox-Walker’s) Tennessee Infantry and the 21st Tennessee Infantry, following the Battle of Shiloh. In 1863 they were temporarily consolidated with the 3rd Confederate Infantry (which also had a large number of Irish) to form the 3rd-5th Confederate Infantry. It was in this capacity that the Memphis Irishmen participated in the Army of Tennessee’s most successful battle, at Chickamauga, Georgia on the 19th and 20th September 1863. The 3rd-5th were commanded by Colonel James A. Smith (the majority of regimental officers were non-Irish) and formed part of Polk’s Brigade, Cleburne’s Division of Hill’s Corps at Chickamauga. Cleburne’s troops did not see their first action of the battle until sundown of the first day, when they were ordered to the army’s right with instructions to attack the Federal positions in the vicinity of the Winfrey Field. Colonel Smith takes up the story: ‘The regiment entered the action first on the 19th with the brigade about sundown, passing over the Sixth and Seventh Arkansas Regiments, of Liddell’s brigade, which were lying down. We had proceeded but a short distance to the front when the enemy opened fire on our sharpshooters. They were immediately withdrawn. The enemy’s artillery opened destructive fire on our advancing lines, which together with fire from infantry behind temporary works, stopped us for a short time. The right of the brigade, however, meeting with less resistance, pushed on, and getting on his flank he soon retired in confusion, leaving a 12-pounder James gun and a caisson, having set another on fire. I was here directed by Lieutenant-General Hill to halt my regiment, as it had, by directing itself on Wood’s brigade, become somewhat detached from the remainder of the brigade. This ended the contest for the night, most of the fighting having been done since dark.’ The regiment lost 25 men in the fight, mainly with slight wounds. The Irishmen faced a tougher challenge on the second day of the battle. They would have to attack well fortified Federal positions, now located around the Kelly Field. In the process they would face a withering fire. Colonel Smith continues: When the attack was renewed [in the late morning] we met the enemy at his works, which were located on the crest of a rise that commanded the space in front of it. The strife at this point was fearful. Such showers of grape, canister, and small-arms I have never before witnessed. We remained here until our supply of ammunition was exhausted without losing or gaining ground. Through the misapprehension of an order, or from some other cause unknown to me, the right of my regiment gave way, and it was with some difficulty that order was restored and the line re-established. 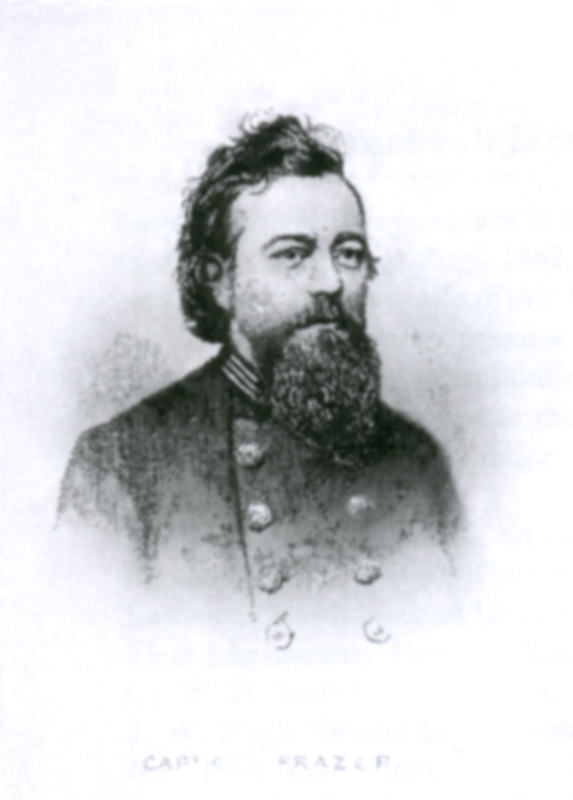 Failing as we did to drive the enemy from his position, and our ammunition being exhausted, we were ordered by Brigadier-General Polk to fall back.’ The unit’s losses were heavy, and included Captain W.J. Morris, who was mortally wounded while leading a charge; he was struck by grapeshot in the lungs and died on the field. 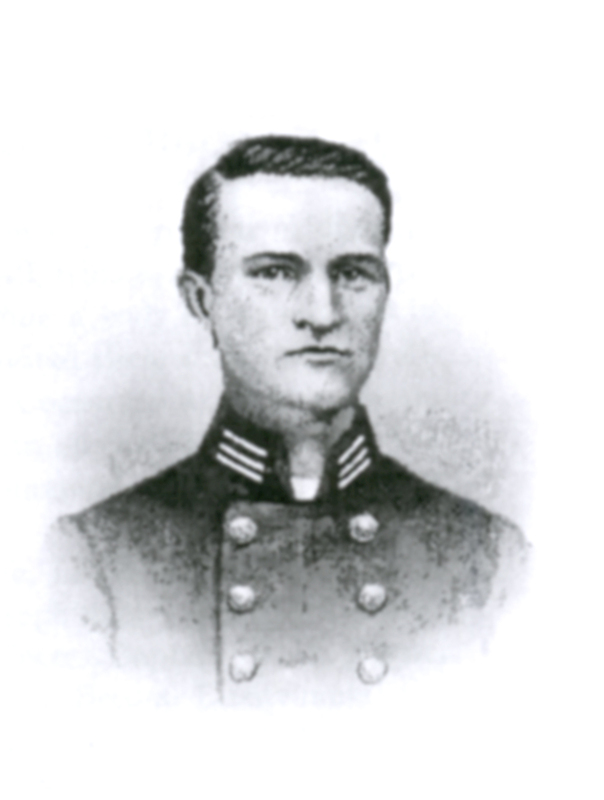 Lieutenant Ragan also had his leg shattered during the attack (Frazer 1886: 150). The Irish were not finished though, and a final attack was launched 4-500 yards to the right of their original position at around 4pm that evening. According to Colonel Smith the Federal resistance was ‘for long, as obstinate as in the morning; but we finally proved too much for him, and he took refuge behind his second line of works, about 200 yards to the rear of his first. He made but a short stand here and then fled in confusion across the open field in rear, leaving many prisoners in our hands.’ This was where the regiment took their heaviest losses, with Captain George Moore killed by a cannonball and Captain James Beard mortally wounded. Speaking of Beard, his fellow officer C.W. Frazer remarked how he often remembered him singing his favourite tune, ‘It matters little now, Lorena’ (Frazer 1886: 150). The Federal retreat was final, and the Confederate Army of Tennessee had won its first major victory in the West. 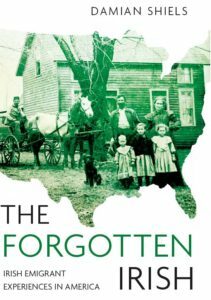 However, the 3rd-5th Confederate and their Division had paid a heavy price. In the two days of fighting at Chickamauga, Cleburne lost 204 men killed, 1,539 wounded and 6 missing. Captain James H. Beard, Co. E.
Captain George Moore, Co. H.
Sergt. John Callahan, Co. A.
Sergt. William McNamara, Co. B.
Sergt. 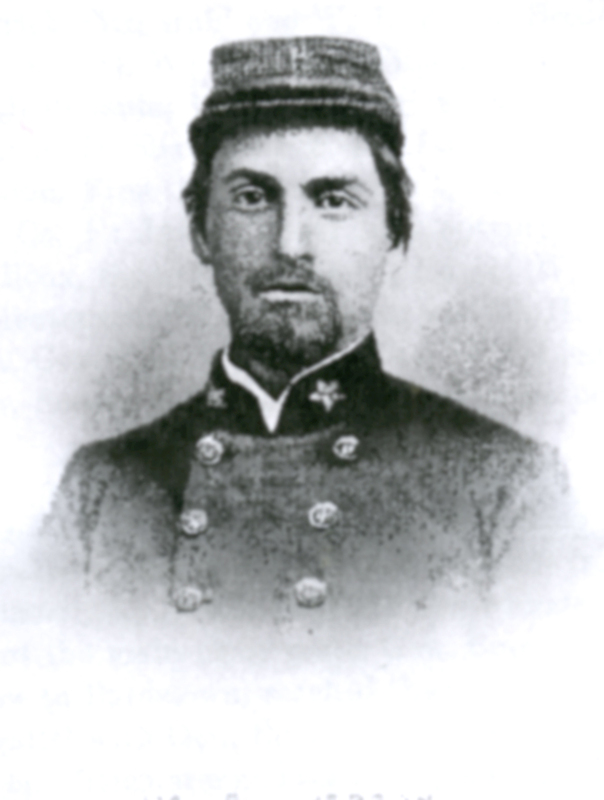 Walter Laracy, Co. D.
Sergt. T. F. Brennan, Co. E.
Sergt. Edward Doyle, Co. F.
Sergt. George Cook, Co. G.
Corpl. R. H. Coleman, Co. H.
Private Frederick Taffe, Co. B. Private Jack Wright, Co. E.
Sergt. 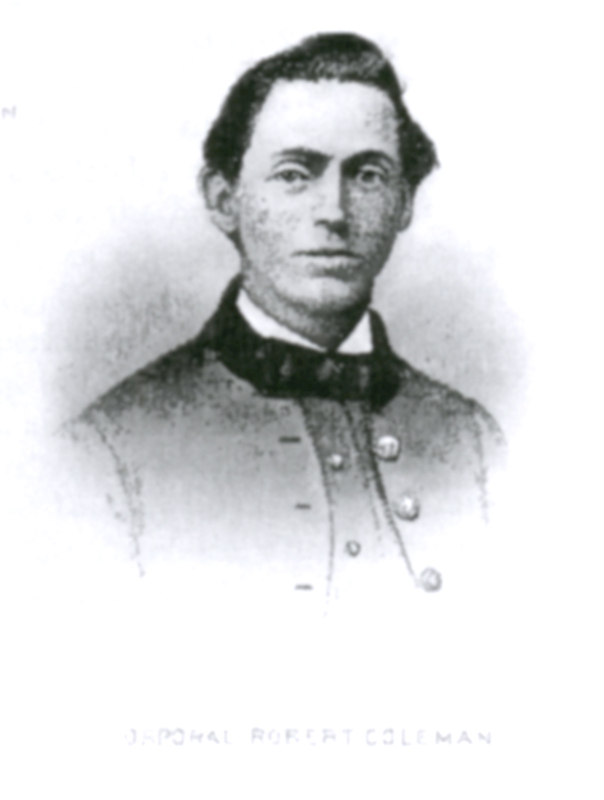 E. L. Moore, Co. F.
*Hill mistakenly relates that this Irishman was part of Helm’s Brigade, but he clearly served with the Fifth Confederate Regiment of Polk’s Brigade.